Texas has $134 million in unpaid bills for the state's emergency response. 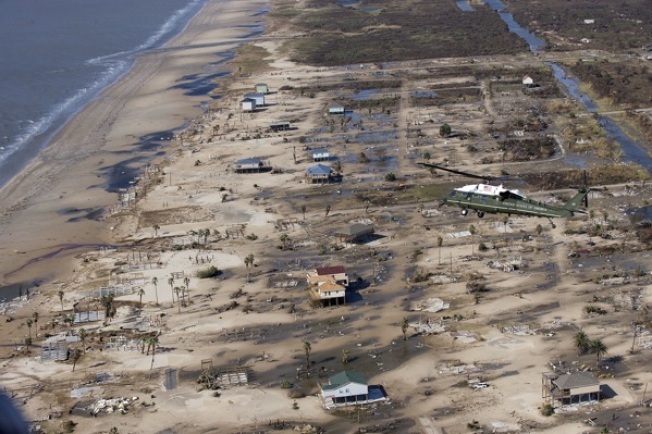 The state of Texas has $134 million dollars in unpaid bills relating to Hurricane Ike. The state has $134 million in unpaid bills stacking up for the emergency response to Hurricane Ike -- and vendors, tired of waiting on government bureaucracy, want their money. Jack Colley, the state's emergency management director, told the Senate Finance Committee Tuesday that he's had to tell the vendors they must wait. Committee Chairman Steve Ogden said the state should already have the authority to pay the bills from the deadly Sept. 13 storm. "We are not broke; why aren't we paying these bills?" Ogden asked. "That's a good question," Colley responded, deferring to the office of Gov. Rick Perry. Perry spokeswoman Allison Castle said the state's share of the $134 million in Ike costs that have already come due from private vendors is $14 million. The rest, about $120 million, is the responsibility of the federal government, she said, blaming federal officials for a slow response time. About $3 billion in a variety of unexpected costs will be needed to close out the state's 2008-2009 budget period, which ends Aug. 31. About $2 billion of that is the state's share of costs from Hurricane Ike, including the $14 million for private vendors, such as grocery companies that provided food and water and bus companies that helped evacuate people from the coast. Castle said the situation emphasizes the need for a well-funded disaster contingency fund, which Perry has called for, so emergency cash would be readily available. The state set up such a fund in the last session, but never put any money in it. On Monday, Perry sent a letter to U.S. Homeland Security Secretary Janet Napolitano, reiterating the state's post-hurricane needs. And on Tuesday, Perry declared several hurricane-related items to be emergencies, allowing the Legislature to begin considering them in the first month of its session, which began Jan. 14. That includes extra spending for hurricane response and recovery; assistance for public and private entities with hurricane recovery; and reform to the Texas Windstorm Insurance Association, along with funding of a catastrophe reserve trust fund connected to the association. Insurance companies and others who want to see the windstorm association changed praised Perry's emergency declaration, which had been anticipated. The windstorm association is the wind insurer of last resort for Texans in 14 coastal counties where private companies have pulled out of the market. The fund also sells policies throughout the state and covers damage from severe thunderstorms and hail. Private-sector insurers pay into the windstorm fund, which begins to drain money from the state budget when wind damages reach a certain level. Jerry Johns, president of the Southwestern Insurance Information Service, which represents TWIA, said the number of buildings insured by the fund has grown dramatically over the past decade. He said the association wants to avoid compromising the state's budget. As of Feb. 1, the windstorm association had paid out more than $904 million in claims from Hurricane Ike, he said.